Prepaid debit cards are debit cards that can be purchased online or through local merchants and "pre-loaded" with a set amount of money. However, some consumers have complained about hidden prepaid debit card fees. They say they were not adequately warned that they would be charged high debit card fees. Such fees include an activation fee and monthly debit card fees. Send your Prepaid Debit Card claim to a lawyer who will review your claim at NO COST or obligation. A prepaid debit card differs from a credit card: with a prepaid debit card, the consumer deposits, or loads, money on the card when the card is purchased. Prepaid debit cards can be reloadable, meaning that if their balance is depleted, the cardholder has the option to add more money to the value of the card and keep the same prepaid debit card number. However, prepaid debit cards can carry high fees and consumers say they were not adequately warned about those fees. 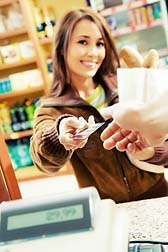 For example, consumers were often charged an activation fee that was taken off the value of the card as soon as the card was activated, without the consumer's knowledge of the fee. Many prepaid debit card users are low-income earners or new immigrants who are unable to open a bank account or be approved for a credit card. About 80 million Americans have little or no interaction with a bank and the prepaid debit card industry is targeting these consumers. The industry says they operate on small margins and make it up in volume, but in so doing, they "nickel and dime" the consumer. Unfortunately for most frustrated customers, the prepaid card has proven to be a more expensive way to bank. Although financial industry officials say their prepaid card user fees are declining, they cost substantially more than bank charges. Green Dot fees, including point-of-sale transactions, can cost upwards of $30 per month. Some customers have complained that they have deposited funds into their account but can't access their money. Meanwhile, monthly fees continue to be withdrawn from their account. Monthly Charge: Waived in any monthly billing cycle when you load at least $1,000 to your card or make 30 purchase transactions, otherwise, $5.95. ATM Withdrawal: free at participating ATM's, otherwise $2.50 per withdrawal. There may be consumers who used cards by other companies not mentioned in this list who feel they were not adequately warned about the fees associated with their cards. Consumers who used prepaid debit cards from any company may be able to file a complaint if they were not adequately warned about fees they would be charged for using those debit cards. As part of the credit card legislation, which was enacted in spring, 2008, Congress has asked federal regulators to investigate pre-paid cards and report back by next February. So far this relatively new industry has avoided regulatory oversight that could give added protection to customers. Until that time, consumers may want to seek legal help. Pre-Paid Debit Cards at Christmas: Ho Ho Hold..
Prepaid Debit Cards "a Rip Off"
On September16, 2017 my Wal-Mart Debit Card promoted by the Green Dot Corporation was compromised. I live in Kentucky. The charges was made in Granada Hills California, a few miles from the Green Dot Corporation. The charges were made inside the Rite Aid store as a credit. I use this card faithfully daily. There was no way I could have made transactions here in Kentucky and in California at a physical location in a four hour period. When I reported this fraudulent charges, I was told it would take up to 45 days to process the claim. They kept saying it was a dispute, I said no it is fraud claim and the turn around is one to three business days after the charge post. The call center was very rude, disrespectful. They locked my account and I could not get info for five days. I was frantically calling any number I found on the internet. The system did not recognize my information. I work at a bank call center. The first day, the first call, I knew to request Executive Resolution. It took them five days to contact me. I don't know what would have happened if I hadn't requested the call back. I believe it is an inside hack. I spoke to a lot of people. They leave enough on your card to cover the expedition fee, card reissue fee, declined purchases fees and load process fees. I had direct deposit on that account for about a year and half. I paid my utilities and my note from the account. I did all my transactions at Krogers. I never even was in a Rite Aid. I had a track record, you could see exact same tranactions every month. I was in fear my utilities would be cut off. I didn't sleep for two weeks. I had to pay late fees on my insurance and my utilities. I want to sue them. I have been without utilities before. I had panic attacks. I have a severe bridge phobia. This incident flipped me. I got a lot feedback from Facebook. There was other people whose card was hacked in same location as mine was hacked. Green Dot fees are outrageous. I was given the GreenDot Visa debit card as a gift with $50 on it. Not only was the purchaser charged $5 but the fee to use the card is $10. Why would anyone use a card like this unless they dont have a bank account. Additionally, to use the money on the card it has to be registered online and there is an ongoing monthly $10 fee unless you put $1000 in the account. I have a question about the card. I received a monthly charge of $9.95 dollars. I'm not sure why? When I first signed up for the card it said no fees , why is this happening and how do I get rid of it? Can you help answer a question for me. I have a Green Dot prepaid Visa card that was given to me as a gift. I misplaced the card several years ago and contacted the company. The card was blocked or inaccessible when I tried to look it up online. When I finally reached someone I was told the money had been turned over to the state of California and I needed to fill out an assheetment form to get the funds back. I was told by several agents for the bank that I would be sent the form - which never came. I kept calling and calling and everyone told me the same thing but I never received anything. I then found an email address and sent a message. i received an email that said fees had been applied over the period of time and now the balance was 0 and that was the reason i never received the form to send in -- she said the funds were not sent to the state of california. i do not understand this kind of customer service from a bank and from Walmart. this is totally wrong. i thought this is against the law to access fees like this to the prepaid cards. Can I get any help on this? Please answer. Thanks very much. I got 2 prepaid debit cards for $10 each from Citibank for enrolling in their Credit protector program. The expiry date printed on the card is 12/09. But when I tried to use it I was told there is no balance. I called the customer service and was told there is no balance because it was reduced by the service fees. Bottom line is I lost $20. Isn't there a law in California that restricts such fees?